I am the one wearing in the sparrow custome. 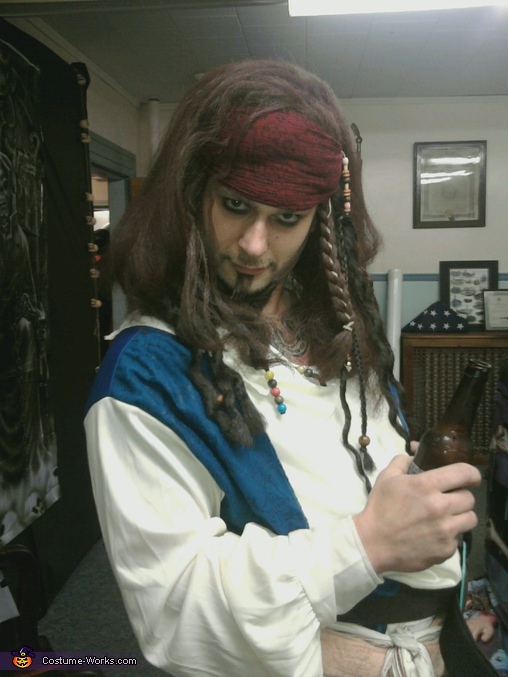 My fiance and i have always loved the pirates of the carribean movies and then i realized she had a thing for Captain Jack sparrow. I began looking for the pieces needed to complete this task and keep coming up short. I decided to take what i could find and modify these items to get them as close as i could to the character. My fiance completed the character with the makeup.